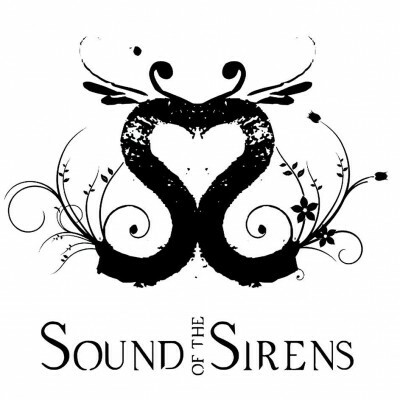 Amazing acoustic act Sound Of The Sirens is the beguiling work of Hannah Wood and Abbe Martin. The pair share guitar and vocals to create a perfect partnership of unique folk rock. Underlying their sheer talent is a ferocious passion which takes their song crafting to perfect heights. Armed with such amazing skills, the duo also know how to rock a stage. They convey every line with a verve and intensity through the urgency in their voices which makes the listener delve deeply into the song. Whilst each singer spins a yarn with their exceptional voice, together they unite into a melodies and harmonies beyond compare. The songs themselves are absorbing and all encompassing. Creating an inviting world in which to visit, explore and gleefully become lost in. Demanding your unwavering attention, the haunting melancholy of the music is enough to silence any audience in awe. The bittersweet lyrics stir a longing in your soul and make for exquisite listening when performed live. Their album A Long Way To Fall was recorded live at the State Of The Ark studios to capture the energy that the band gives off when performing live. This contrasts greatly to their EP Under The Stars which consciously moved into a more obvious studio recorded sound. Their latest release came in the form of the 2015 album All We Have Is Time. The record sees them capture true sentiment and excitement. Sound Of The Sirens tickets are ready to buy. Get your gig tickets through Gigantic. Their tour takes them to Gwdihw at Cardiff this November and Exeter Cathedral in December. These gig tickets are not expected to last very long so book early before they are gone!